Apple trees planted in a Bitterroot Valley orchard six years ago are now bearing thousands of pounds of fruit that will soon end up a variety of hard cider drinks blended in a Missoula production facility. The founders of Western Cider Co., based in Missoula, have spent the past year searching for a place to establish their upstart company. They found it in a rundown warehouse on California Street, where pending renovations will transform the building into a production plant and tasting room. Western Cider will be located in the old Bakke Building at 101 N. California Street. Clarenbach, along with co-founders Michael Billingsley and Matt LaRubbio, presented their plans to the Missoula Redevelopment Agency’s Board of Directors on Thursday. The board approved several funding requests to help Western Cider renovate the tired warehouse and make improvements to the right-of-way. The 1-acre property fronts the Riverfront Trail and, with a little work, it will offer scenic views of the Clark Fork River. The company plans to grow a demonstration orchard on site and offer outdoor seating that plays off the river corridor and pedestrian activity. 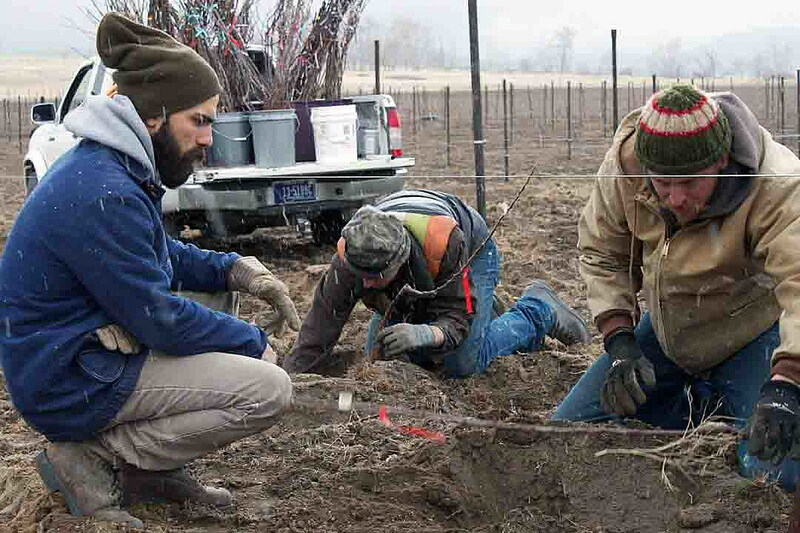 While achieving the vision may take time, Clarenbach said the Western Cider crew will tackle the work in phases. The Old Sawmill District is growing up across the river, and redevelopment of several nearby parcels will continue to transform the overlooked location. Once production starts, Clarenbach said, Western Cider will produce a variety of products, including blended ciders and infused ciders – drinks flavored with cherries, peaches and other products. It was six years ago that Billingsley began planting his apple orchard near Stevensville. The trees are expected to produce roughly 10,000 pounds of cider fruit this year. Once fermented, the end product is similar to wine in the number of value-added products it can produce, Clarenbach said. Western Cider’s apple orchard in Stevensville, Montana. MRA expects the project to help rejuvenate a languishing part of the city. The trio of founders expects to start with eight employees this year, possibly growing to 15 by the second year. A sales team will market the product for wider distribution.